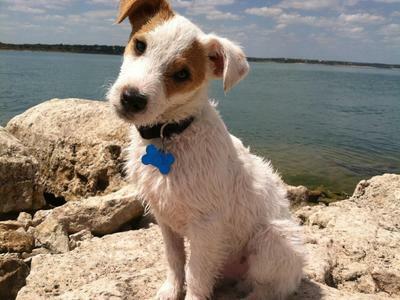 I never had an interest in terriers, much less jack russell terriers. I had been looking for a bigger dog for months but decided to give up my search because I knew having a big dog may be a little too much for me to handle at this stage in my life. 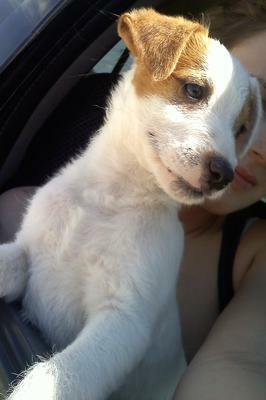 One day, a friend came over with this adorable white and tan terrier puppy. 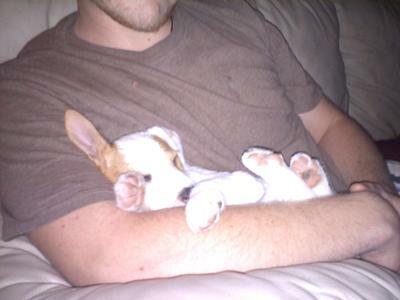 He took to me instantly, following me around room to room and falling asleep in my lap. Needless to say, I fell in love with that tiny spaz ball. Because of his upbeat attitude and unpredictable pace, I named him Banjo. I figured if he had theme music it would be created by the fast pickin' fingers of backwoods banjo player. I have had him for over a month and I take him everywhere I go. We just went on a vacation to Canyon Lake where he splashed in the water after branches and caught everybody's attention. Everyone who meets him, stranger or friend, always says they want to take him home with them. Banjo is sweet, funny, smart, and way too cute. This pup has helped me become a better person, he is my life and my best friend. I have a jack called Fred.He is my buddy and my best friend also. Join in and write your own page! It's easy to do. How? 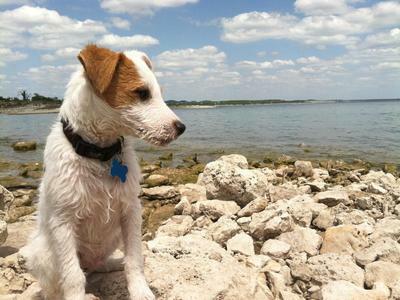 Simply click here to return to Jack Russell Terrier Puppy Photo Submissions.